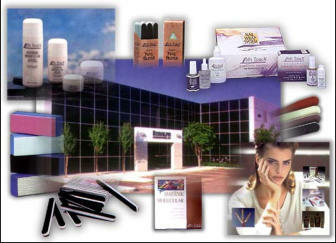 SOFT TOUCH has set the standard for Professional Only Beauty Products since 1979! "Soft Touch Products are distributed exclusively through Professional Beauty Distributors and Professional Beauty Salons." Soft Touch Products are manufactured exclusively by Rudolph International, Inc., which is the parent manufacturing company of Soft Touch. Now in our twenty-fifth year, Soft Touch continues to lead through innovation, reliability, consistency, quality and our firm commitment to the Professional Beauty Industry. Soft Touch Products are available worldwide through its professional distribution channels. Retail Customers, CLICK below for Soft Touch information! Wholesale Customers, (Salons, Spas, Nail & Hair Technicians, OTC Stores and Gift Stores) CLICK below for Soft Touch information!